Gift Hampers Australia loves to receive! Packed with gourmet treats, top shelf wines and value for money, our luxury gift hampers are Australia’s first choice for big occasions and deep sentiment. When you order an Australian Gourmet Gifts food or wine gift basket, we’ll deliver a show stopping present that exudes opulence and good cheer. You’ll find prices and styles to suit every budget and any occasion. More great news! Completely free delivery is offered with each order, whether we are shipping your chosen hamper to Brisbane, Perth, Sydney, Melbourne or Adelaide – in fact our gift hampers are delivered Australia-wide at no charge. All our Australian food hampers are 100% guaranteed to be of the highest quality. We hand select every item from premium gourmet food brands like Australian Country Gourmet and Ogilvie Fine Foods to deliver you the very best Australia has to offer. Our wines and bubbles are from award winners like Moet and Penfolds. We believe that a luxury gift hamper should be personalised and carefully selected for the recipient’s palate, so we give you only the best to choose from, and we’ll include a message from you. We hand pick Australian gourmet products so you can feel confident they’ll love every sip, and every bite. You may want to delight your mum with one of our Mother’s Day Hampers; or thank your sister for helping you out during tough times; We have a beautiful selection of Gift Hampers for Women to choose from. Our hampers are great gifts for all occasions. Whether it is to surprise your dad with a Father’s Day Hamper or astonish some friends with a wide variety of hampers under $200. 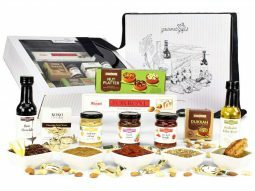 Whether looking for stunning corporate gift hampers or to provide strictly personal surprises, we have a superb collection of gift hampers online for you to choose from. Forgotten a big occasion? We also offer express delivery of gift hampers across Australia for a small fee. All our gourmet gift baskets come with free delivery across Australia. We also guarantee fast dispatch of your gourmet package, usually the same day or next working day! So, when it’s time to surprise loved ones in Melbourne with Birthday Hampers; or just to say “great to hear you’re doing well” to a client in Sydney with one of our Get Well Soon Hampers; here at Australian Gourmet Gifts we are always ready to deliver. Ordering a few? Need Christmas hampers for clients? We’re proudly one of Australia’s top suppliers of corporate Christmas hampers. Our many regulars know we deliver ‘wow’ results, always on time. 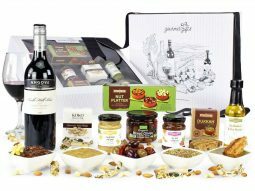 Learn more about our corporate hamper delivery and our discounts for multiple gift basket purchases by visiting our home page Australian Gourmet Gifts.